"The Tiffany One-Cuts are Liotta's third series of collage works that stem directly from her daily movements through the New York Times. 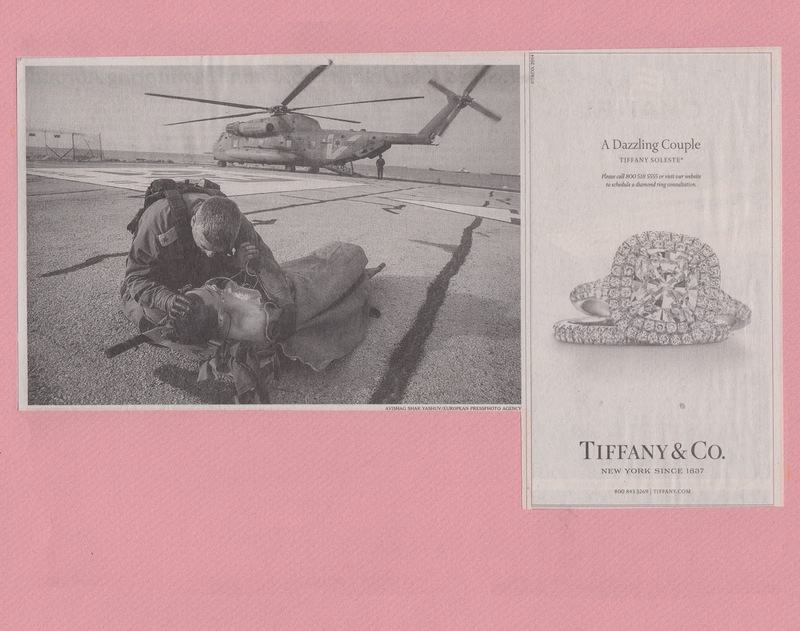 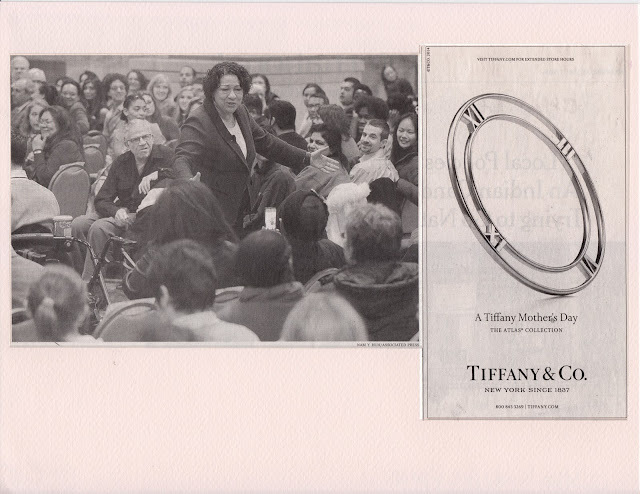 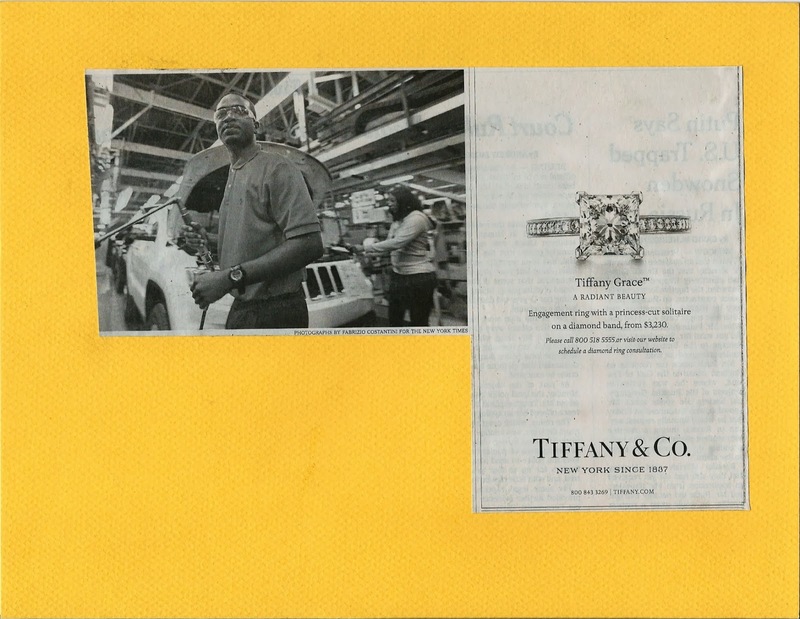 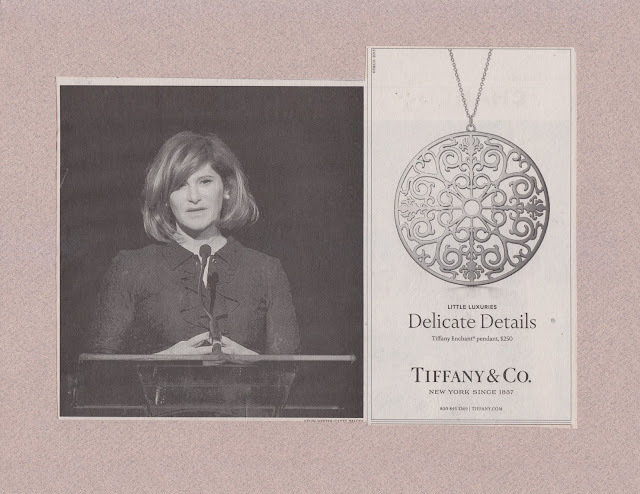 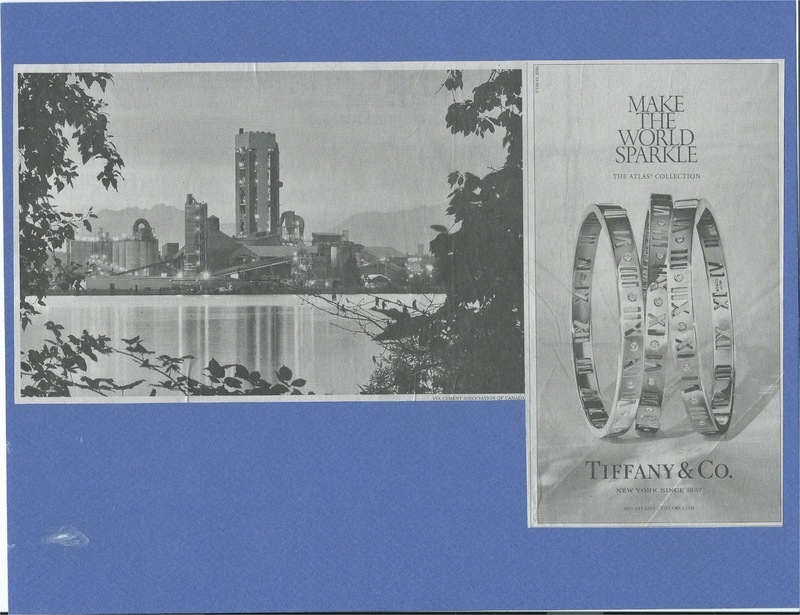 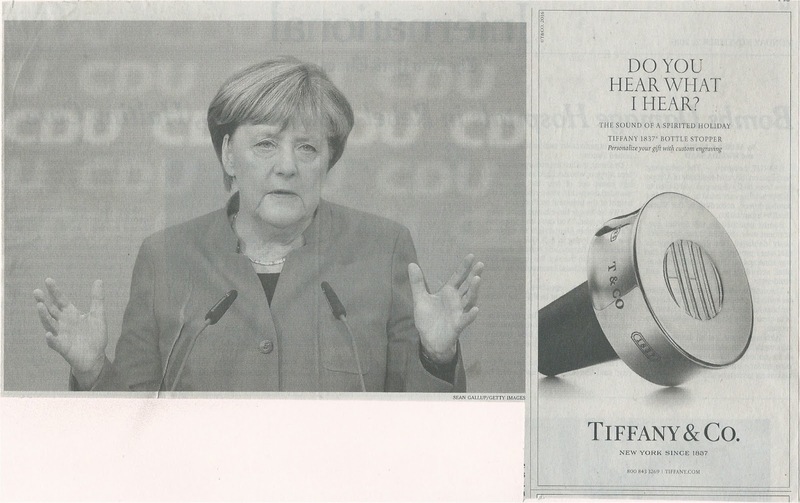 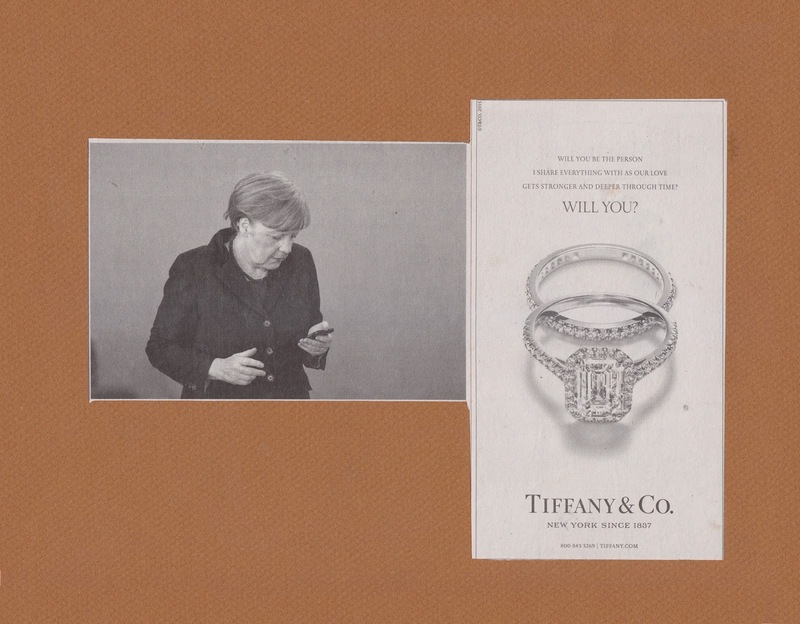 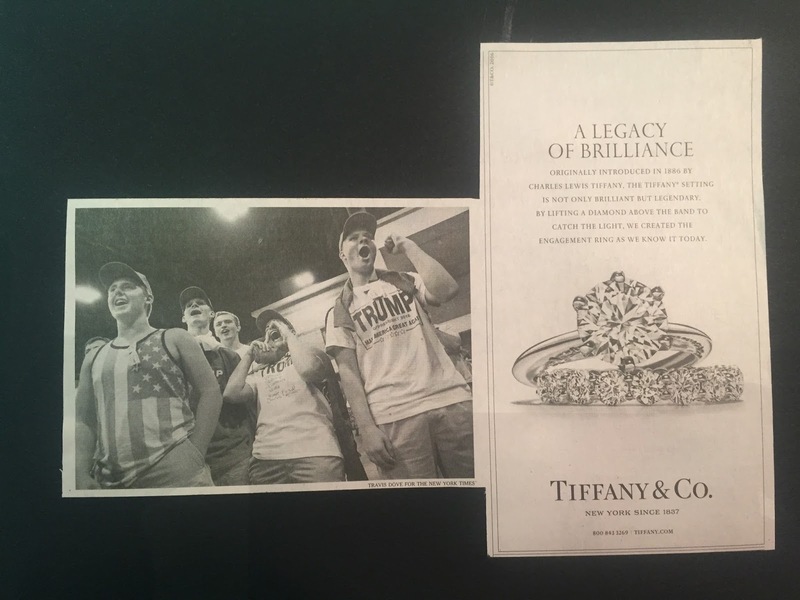 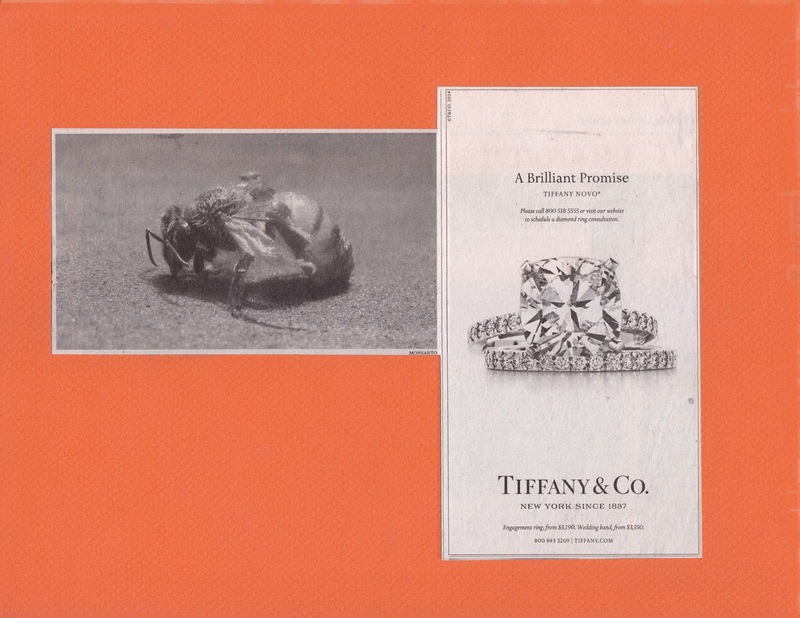 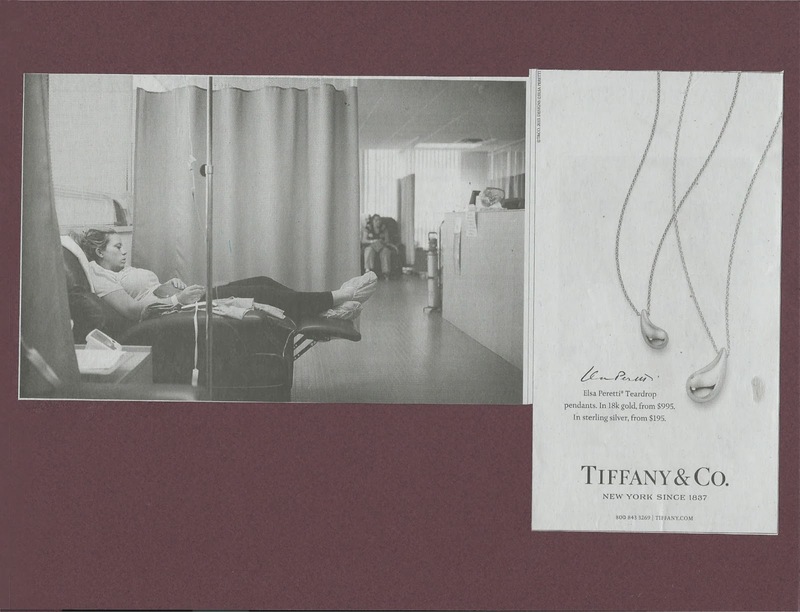 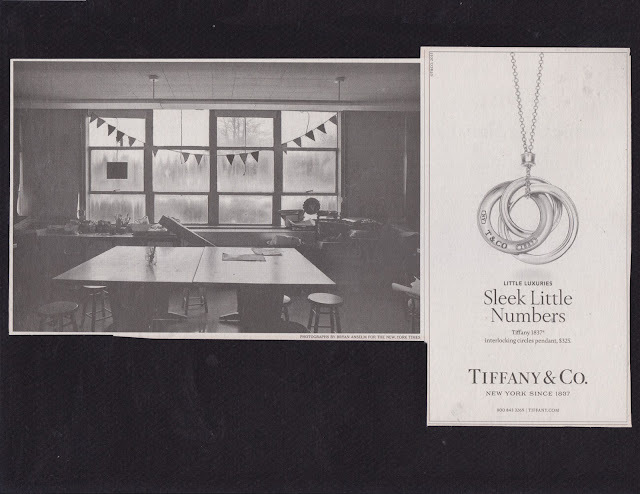 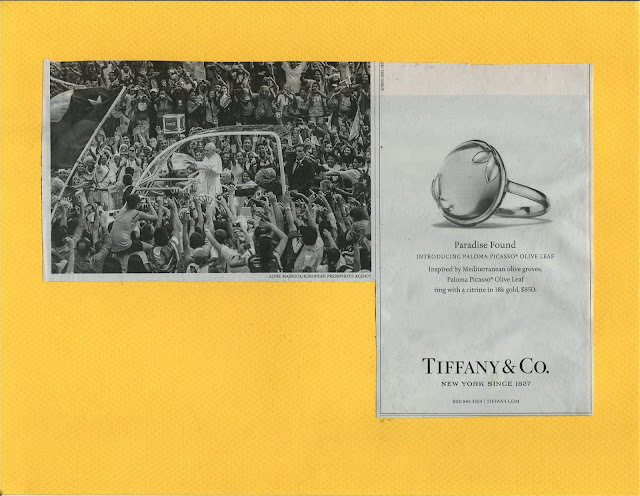 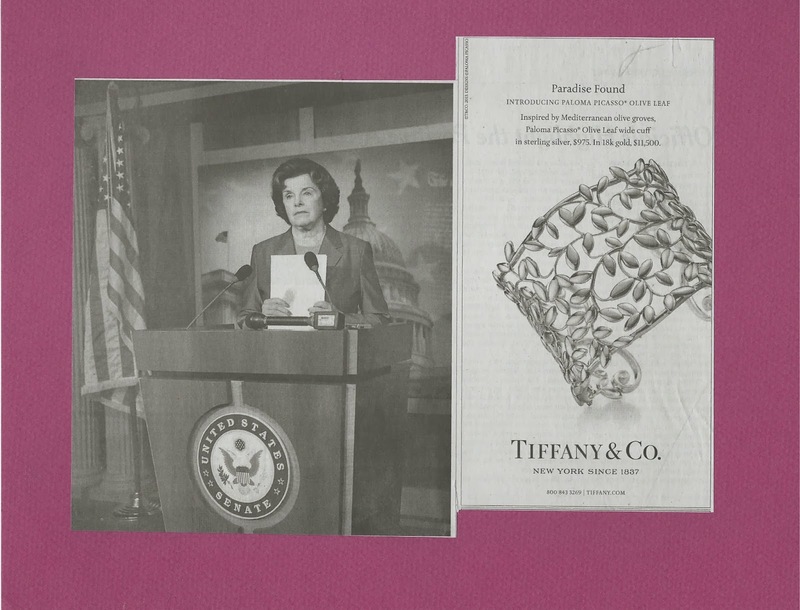 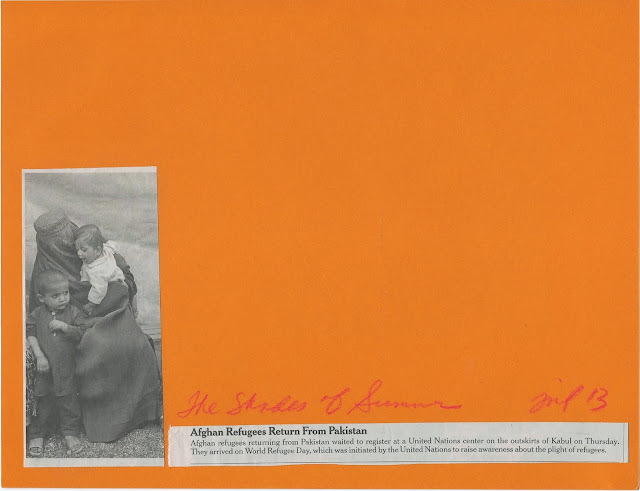 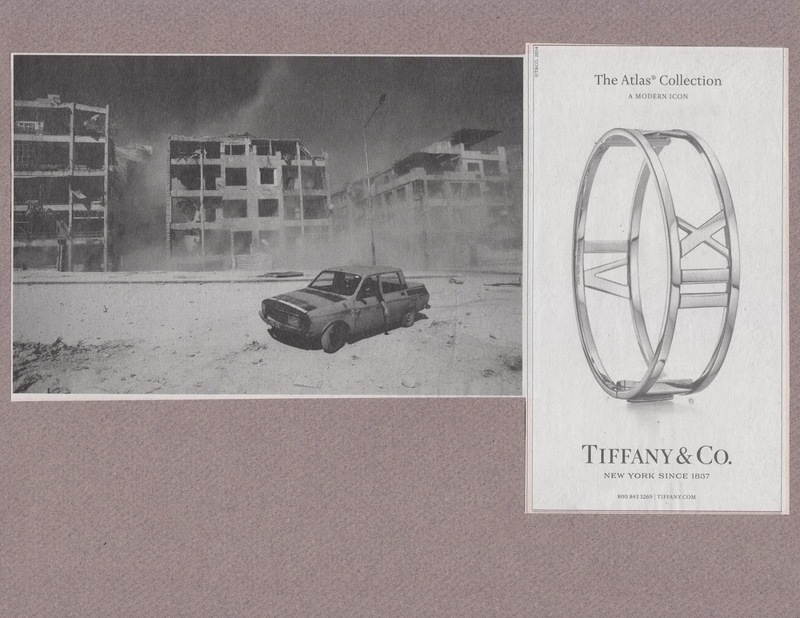 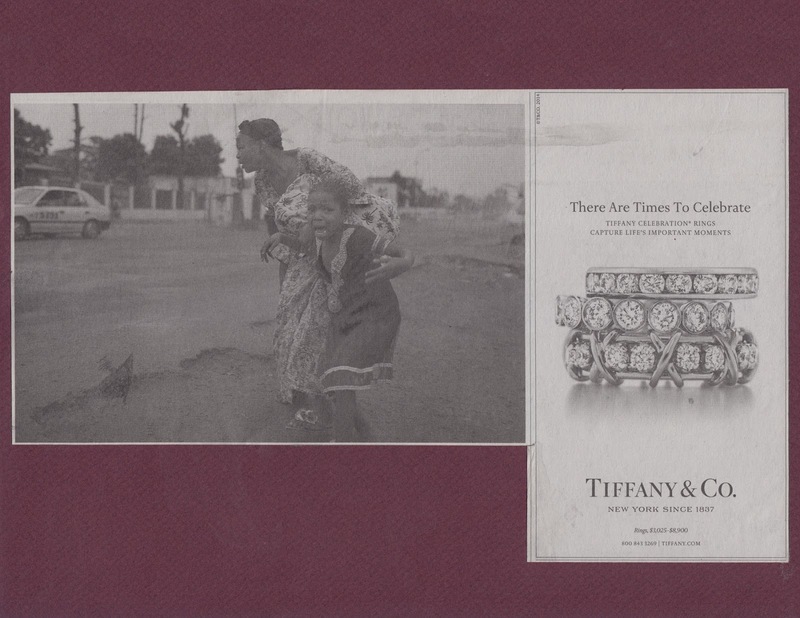 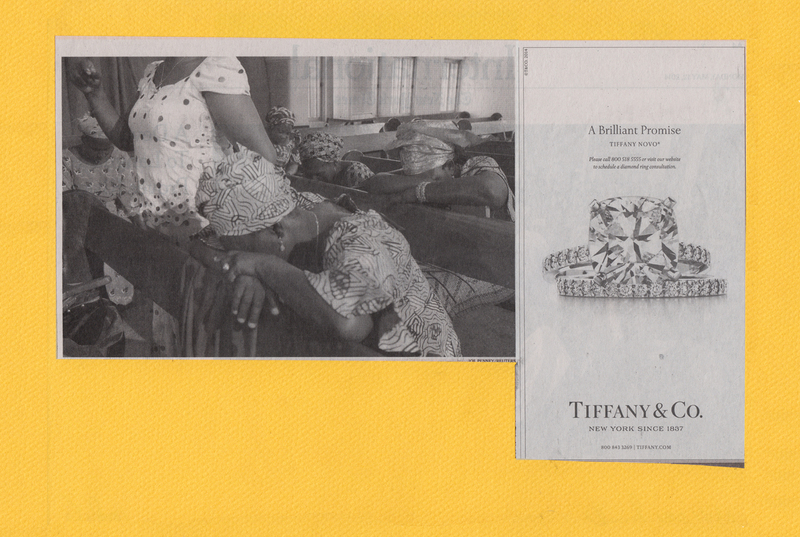 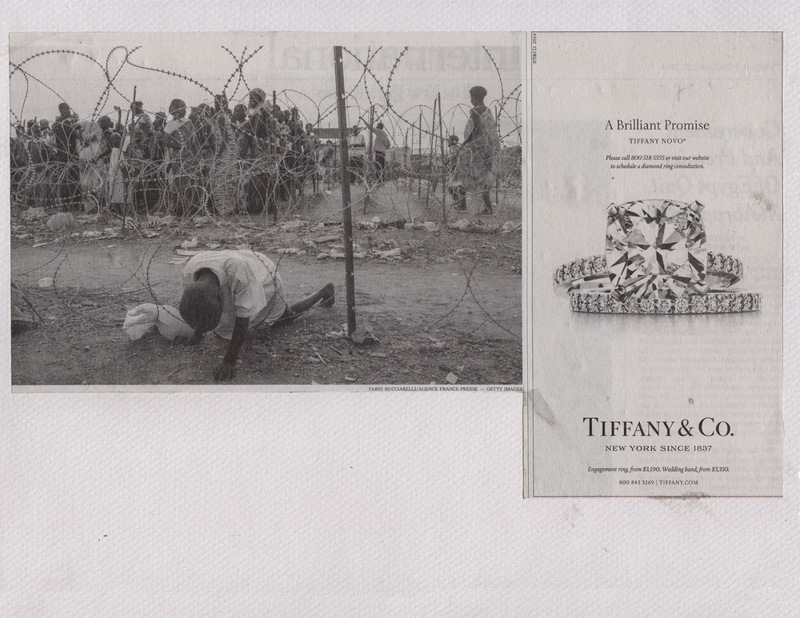 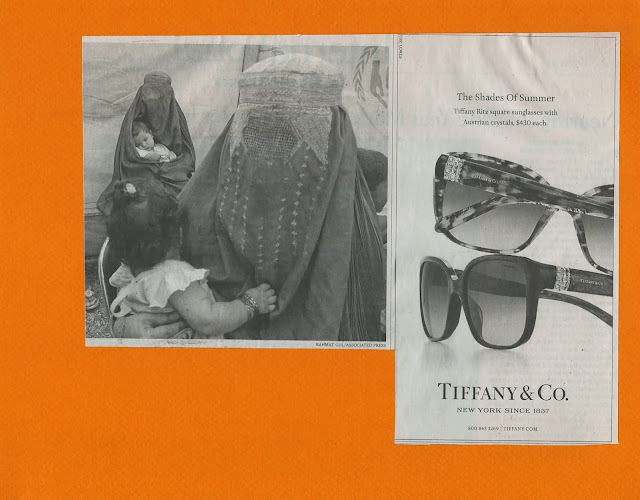 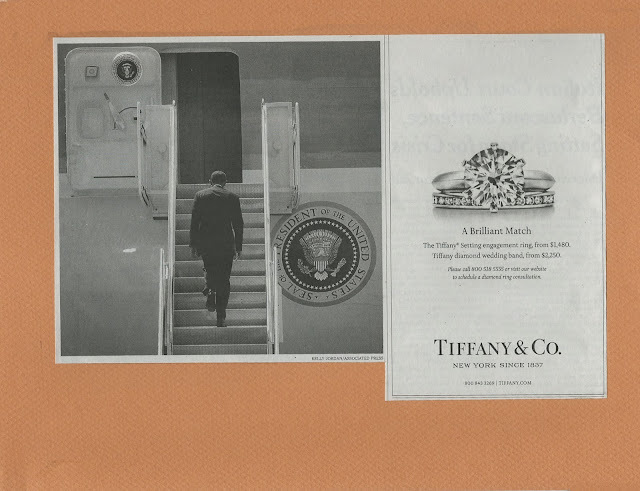 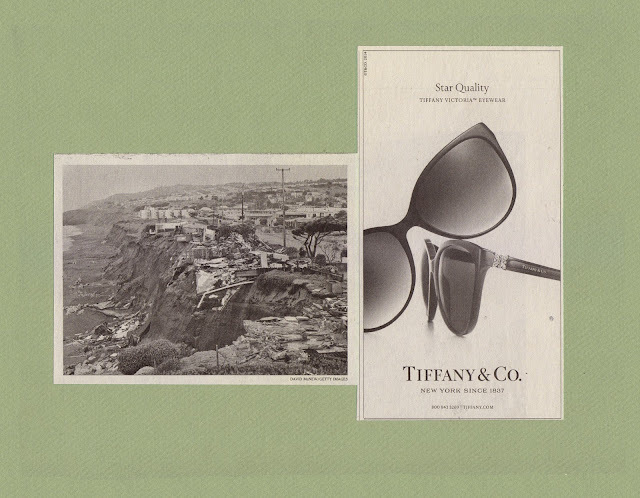 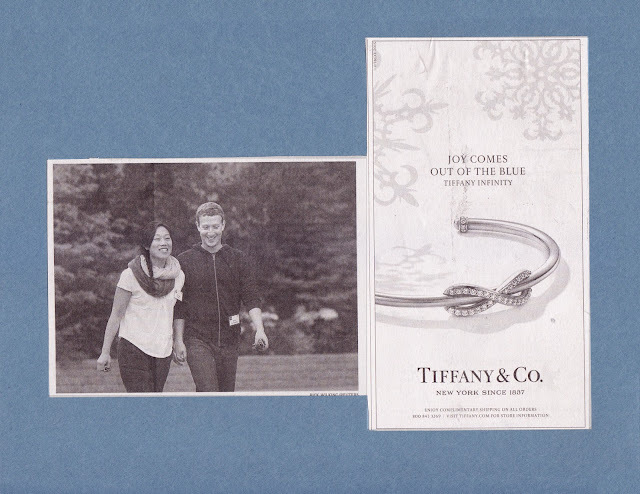 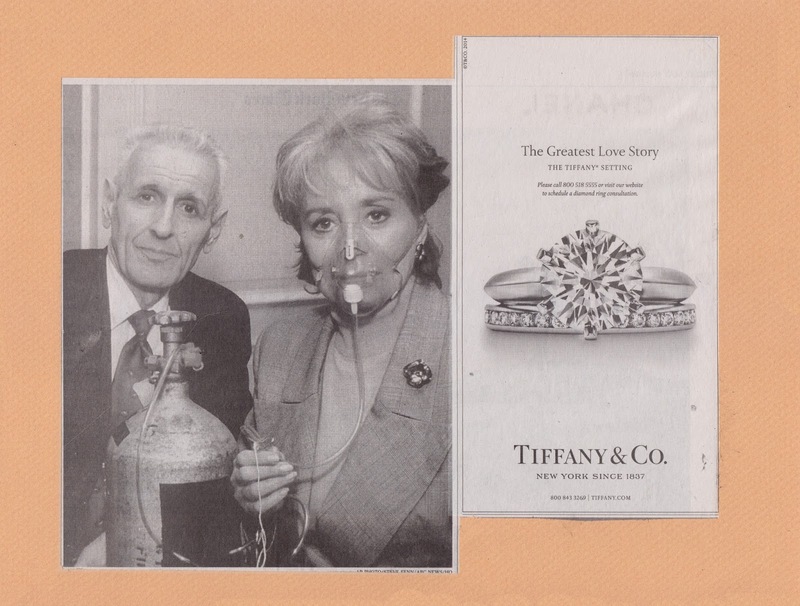 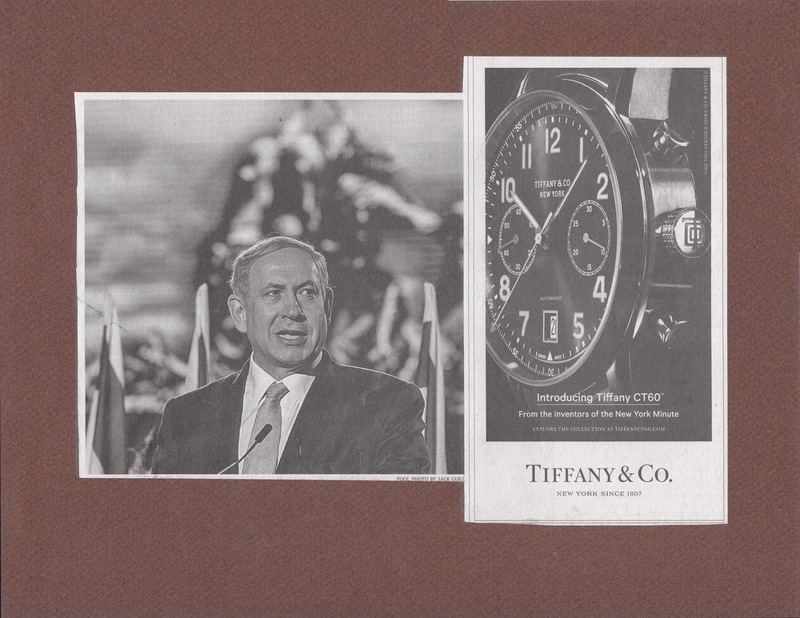 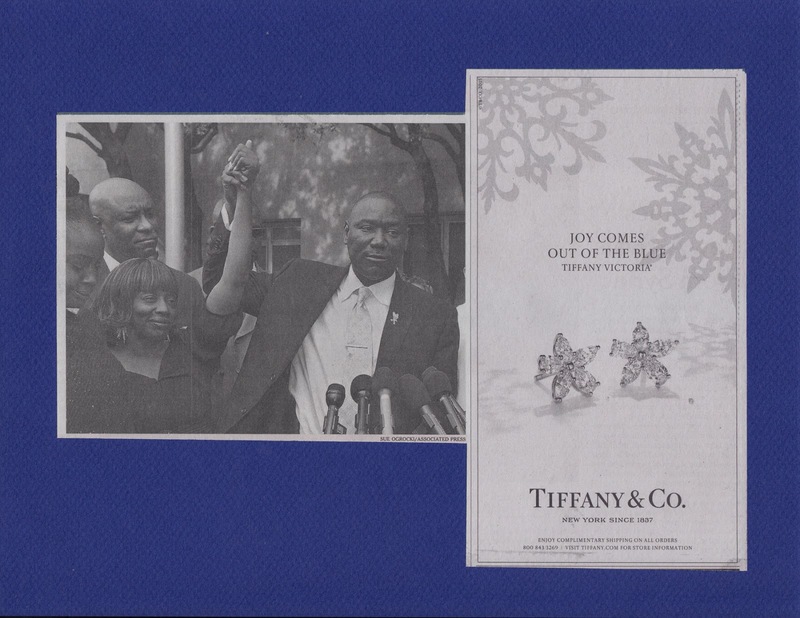 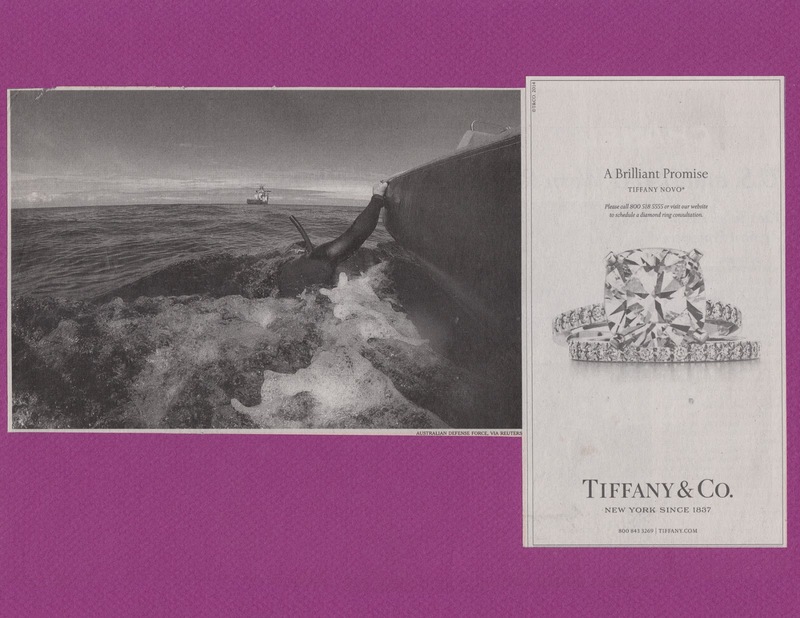 These simple "one-cut" framings of opposites (the omnipresent Tiffany & Co. ad and the image immediately to its left) and the frictions between them point to the inherent tensions found within the relationship between documented, the documenter and their audience. Liotta's explorations, on paper and in celluloid, concerns the politics of the cut. 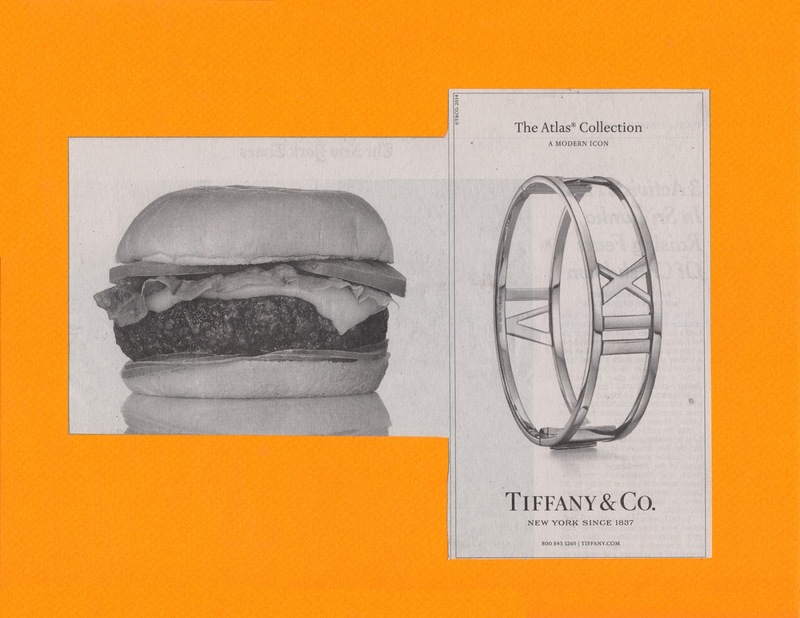 Collage has had a history of political critique dating back to the beginning of the 20th c. The form serves to highlight the intrusion of the real world into the artwork; Picasso, Braque and The Surrealists used public material to insert a sense of urgency into their otherwise placid still lives. 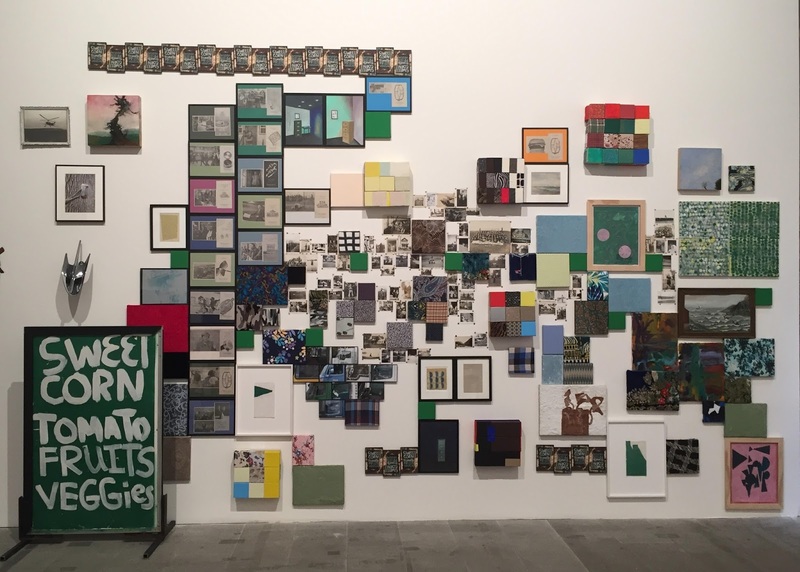 The Internet has made 21c collage something altogether different--no longer a lateral art form but one of depth and explosion. 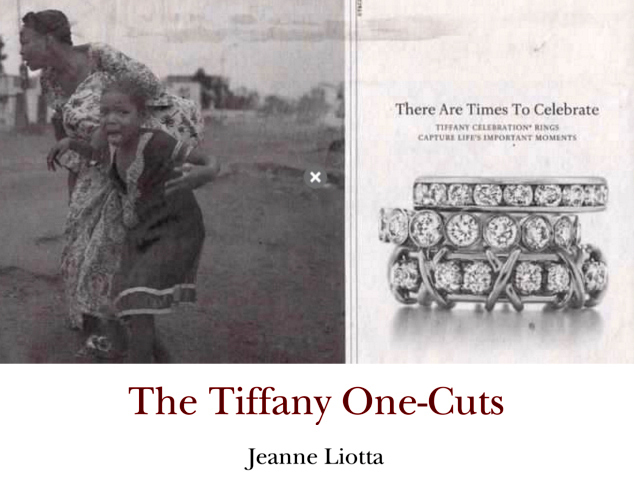 A simple edit, such as he one Liotta performs with the One-Cuts, is simultaneously aesthetic, narrative and political."